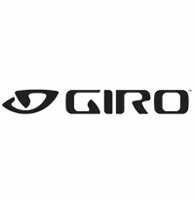 Giro, based in Scotts Valley, CA, is a worldwide leader in high-performance protective gear and accessories for action sports and active lifestyles. Our mission is to create products on the leading edge of inspired design that look, fit and feel like a part of you, and allow you to be at your best. Everything we do at Giro is designed to enhance the connection between riders and the Ride. We do this because we believe that riding is one of the best parts of living. Whether you ride on snow or dirt, on pavement or rock-strewn trail, across town or out of bounds; the Ride is a way to cut loose and experience the power of freedom. Giro exists to serve that feeling, and to share it with more people. For more information, visit www.giro.com.